↑ Harte, Tim (Summer 2003). "Sarah Danius, The Senses of Modernism: Technology, Perception, and Aesthetics". Bryn Mawr Review of Comparative Literature. 4 (1). Retrieved 2001-07-10. (review of Danius book). ↑ "100 Best Novels". Random House. 1999. Retrieved 2007-06-23. This ranking was by the Modern Library Editorial Board of authors and critics; readers ranked it 11th. 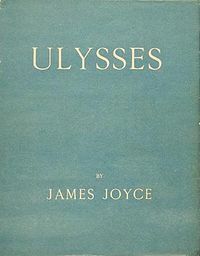 Joyce's A Portrait of the Artist as a Young Man was ranked third by the board.